Percussionist Michael Jarrett* joined the Vancouver Symphony Orchestra Percussion section in 2017. Prior to joining VSO, he was a percussion fellow at the New World Symphony. As a guest percussionist, he has been fortunate enough to perform with The Cleveland Orchestra, New York Philharmonic, and Toronto Symphony. 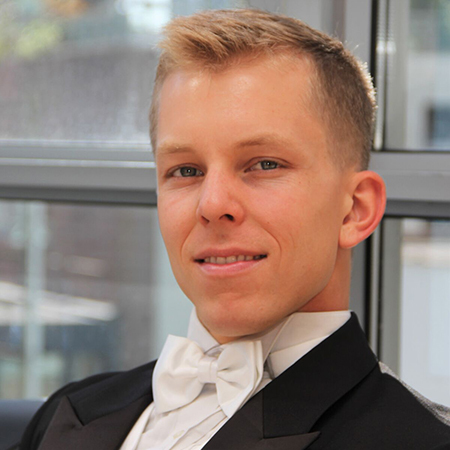 During the summers, he has been a fellow at the Tanglewood Music Center, National Repertory Orchestra, and Music Academy of the West; he is known as a virtuosic and enthusiastic musician in all of these roles.